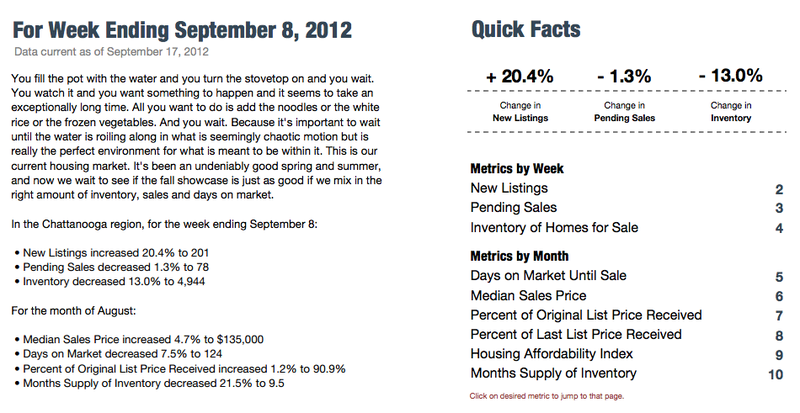 Numbers have been looking great for the housing market in Chattanooga! 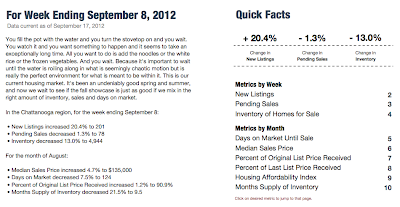 Homes are selling faster for more money, which is great news for sellers worried about homes languishing on the market. The glut of inventory that has been plaguing sellers and realtors alike is shrinking as the housing market bounces back. Check out these great figures from the most recent report by the Greater Chattanooga Association of Realtors and feel hopeful for even greater improvement as we move into the pre-holiday season, which is the second best time of the year for buying and selling. Click on any of the images to expand them to full size.